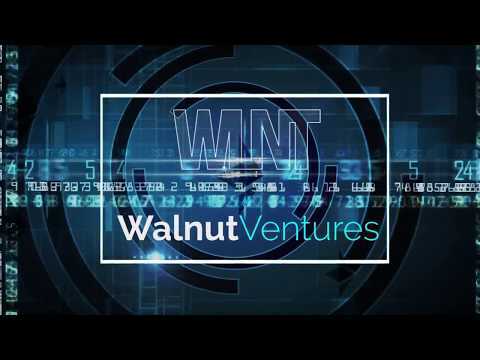 Walnut Ventures developed a way to use an asset backed token as an alternative to finance property. While developing this alternative, we looked to this project from different angles: ./. It has to be a flexible and save solution for a potential home owner to use; ./. It has to offer profit to the buyer of the tokens; ./. It has to offer comfort and security to the buyer of the tokens. We believe we have solved this issues in the way we want to conduct the ITO’s. From our mission: “We want to support families in the challenges of nowadays life” we develop solutions where families can pro t from. This ‘Crypto-house’ solution is an example of it. The method that is developed over the last months is proven legal in The Netherlands. The property that is subject to this ITO is located near Amsterdam. When proven successful, we will study how to provide this service in other countries. The client and property we chose to conduct this ITO are well selected to ensure maximum security and a very low risk pro le, since we believe we have a responsibility towards the new property owner as well as the token-buyers. This product is not meant to give someone with a doubtful credit history or shaky financials the possibility to buy a house. We do strongly believe we have an obligation to protect people from not refundable debt, since this is also a part of our mission. Living in current times is not easy. Everyday, everyone is buried with events, information, changes. It makes life so much more di cult than the 50s of the last era. Only di cult? Or also more interesting? Who can tell. I think that the ability to adapt to new circumstances determines how you feel and function in nowadays society. What worries us is the inequality. In how people can contribute or pro t from innovative ideas. Or the pace in which we develop our society, where basic services are on a stand still. Even in The Netherlands, where we work and live and which is one of the richest countries in the world, you see a growing gap between needs and supply, and between availability and a affordability. Seasoned manager with a lot of experience in distressed companies, (re)financing and building startups. Experienced in general management, finance and compliance. With her sharp and analytic mind the backbone of our team. Officemanager and project analysis. Experienced manager in education and childcare.